The weather has been amazing lately, which gave me the perfect opportunity to try out my new goodies I purchased during the last few days. Today's planning? Working for school. I have to hand in my internship portfolio on the 4th of July, which is also the day I have my exam. And I have some business jobs for the blog in between, such as giving styling tips at a huge BMW event on Friday and being the ambassador for the Magnum Pleasure Hunt on Saturday. I'm stressed out, anxious and all synonyms possible, but I'm also extremely grateful for all the wonderful opportunities this blog has given me, so I'm not going to complain too much. And yes, I'm pale... And loving it. I'll never get a tan - even though I did when I was a kid - so I'm not going to damage my skin by sitting in the sun like a baked potato. I'd rather choose paleness over a guidette look. P.S. : Als jullie een € 100 voucher, een persoonlijk shopping tripje én lunch met mij tijdens de Magnum City Hunt in Hasselt willen winnen, doe dan zeker hier mee! Oops, I did it again ... After already owning high black Converse - worn them to death, they even have holes in them -, a pair of Converse with the American Flag print ànd a pair of customized Converse sneakers, I realized that there was still one crucial pair missing: the low Converse sneakers. I find them more feminine than the high ones and since I'm a lady ... I decided to get them. I was doubting between the black and the blue ones, but you know me ... I have a soft spot for black. They're a size 39 and even though a 38,5 would've been better (sold out, sniff) they still fit me well. I don't have a problem buying shoes that are a bit too small - beauty before comfort, right? - so who cares if they're a bit too big? I know, I'm totally making up excuses to justify this purchase, but Converse sneakers are classics and you can never have too many classics, right? What's your opinion on Converse sneakers? Do you find them classics, like me, or do you find them boring, cliché and just a bit too old school to wear them nowadays? 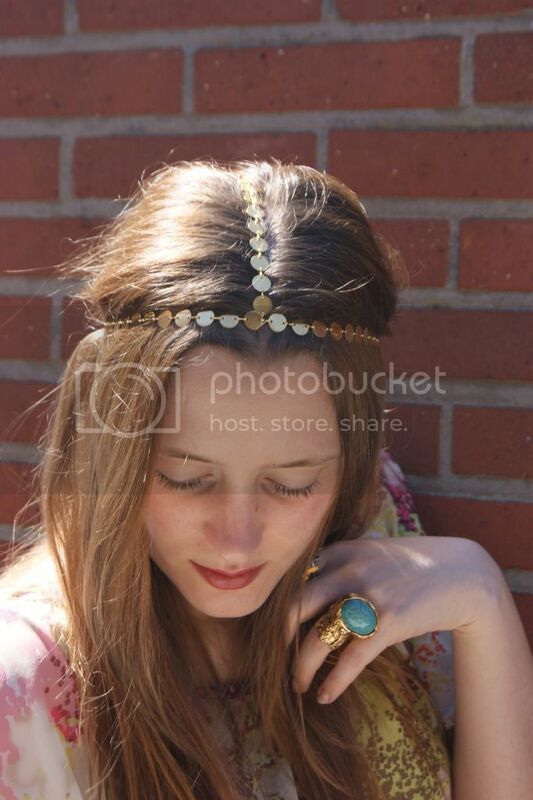 I've been in love with these types of head bands ever since I saw Nicole Richie wearing them. My internship ended today, the sun is shining et voilà ... I had the perfect opportunity to dress up a bit. I added a flower printed top and some big, chunky jewelry to add that extra hippie vibe. My mom quickly took a few snaps while I was enjoying the weather outside. The lovely people at Magnum are giving me the opportunity to give a little extra to one of my readers. So, guess what? You have the chance to win a € 100 voucher to spend at the participating stores during the City Hunt at Hasselt (you can find a list here)! Pretty cool, huh. But that's not all ... I'll be there to help you choose the items you want, to give you some advice and to carry your bags after you've let that money roll. We'll finish up with a lunch afterwards. So, what do you think? 1. Surf to Pleasurehunt.be and register. You'll receive a personal QR code, which you need in order to receive the goodies and discounts in the participating shops. 2. Drop a comment with your name, email address and the link to your personal code, so that I know that you're participating in the Hunt. 3. Like Magnum and Shark Attack on Facebook. This give away is open to Belgian readers only (unless you can catch a plane to Belgium next week) and will end Thursday, 31 May. 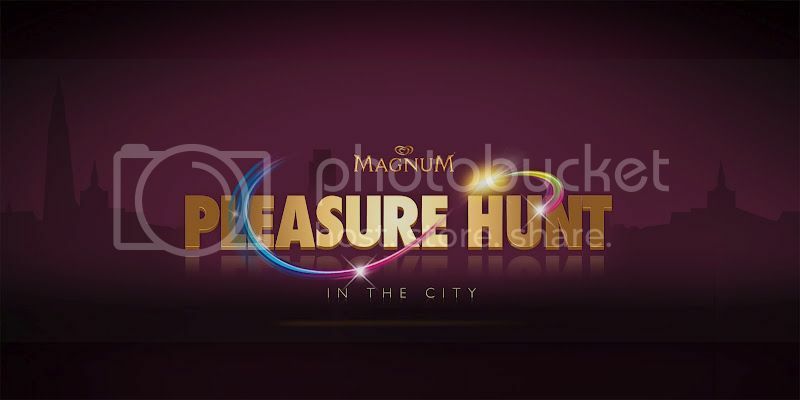 Being the ambassador of the Magnum Pleasure Hunt In The City - of Hasselt City, to be precise - it's my duty to make sure I will see your pretty faces on 2nd June. 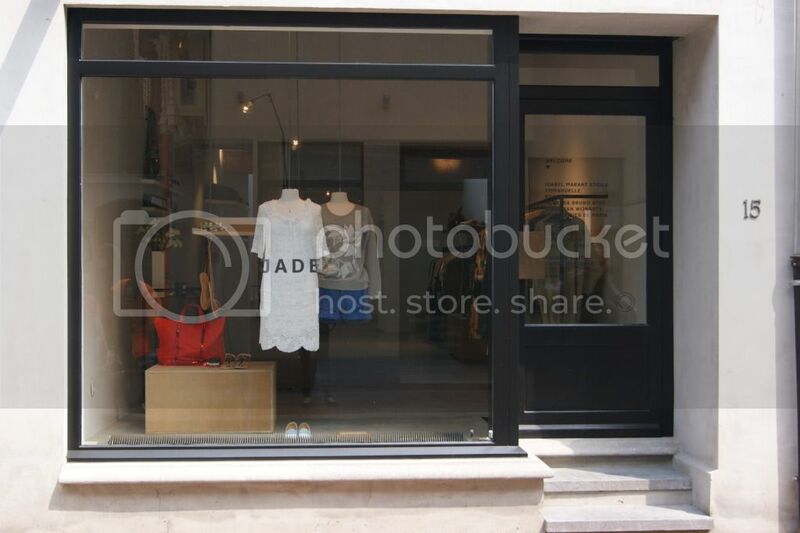 I thought it would be fun to introduce you one of the participating stores: Jade. I've discovered this store just recently myself, but it has gone straight into my fashion loving heart. With brands such as Isabel Marant Etoile, Humanoid and Vanessa Bruno Athe, it's not so difficult to understand why I have fallen head over heels for this store. The shop offers basic, yet timeless pieces with a fun and girly twist. 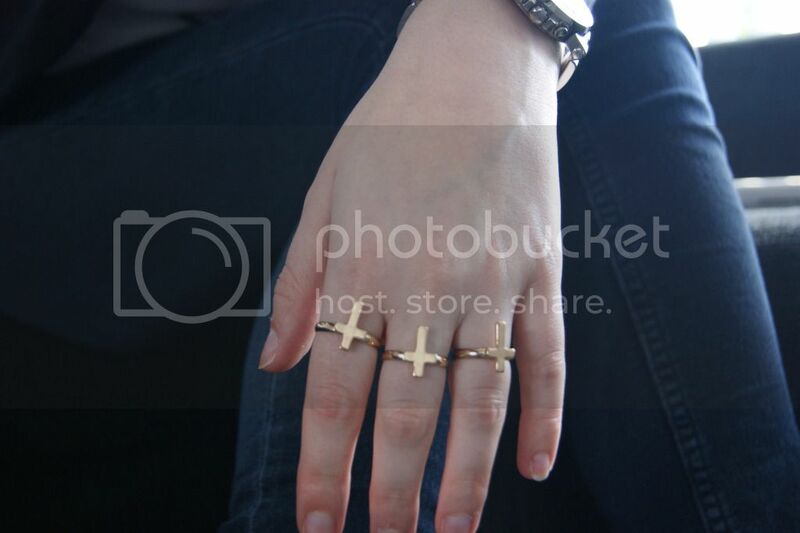 I've photographed some of my favorite items, which was extremely difficult, since I wanted to snap them all. Not to forget the super duper sweet owner of the store, Hanne, who is SO helpful, I can't even describe it. Plus, a little birdie told my that you'll probably get a nice goodie if you buy something at Jade ... Which is verrry hard to resist, believe me. Not having an income right now (damn you, internship) and spending the day in a store like this is torture! But it just so happens to be that the summer holidays are almost around the corner, which will give me the opportunity to work a lot. And work means money - ka ... pause ... ching! - and money means shopping (and saving up a bit). And shopping will probably mean that I'll be spending a lot of time at Jade from now on. Click, click, click below to see what I'm talking about. I just received my first ASOS package! I've always been paranoia about ordering online, afraid that something will happen to my package or that the items aren't the way I expected them to be. My friend Hille got me an ASOS gift voucher for my 22nd birthday (which was in November last year), so I had no other option this time. I'm glad I did, though! Wanna see what I got? P.S. : Thank you, Belmodo.tv, for the mention on your website here. I'm totally loving the 'scarf printed blouses'-trend and even though it's not my style immediately, it's always fun to experiment from time to time. How I would wear it? 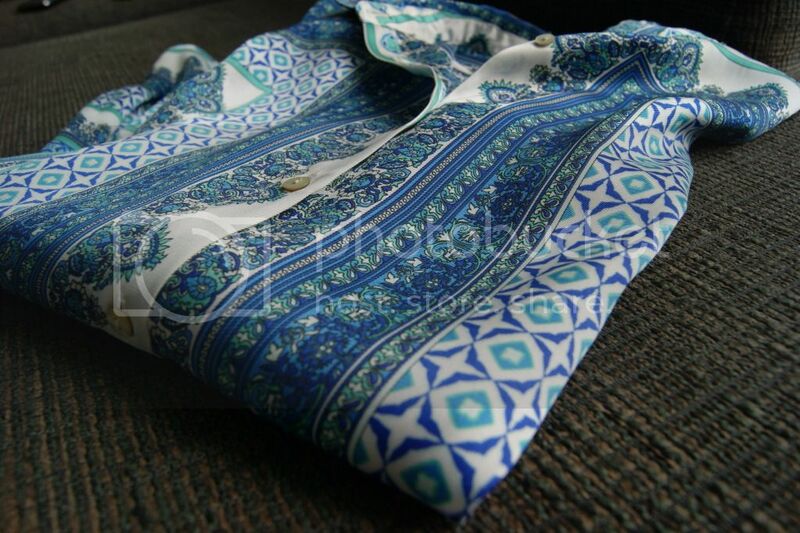 With a pair of jeans or some high-waisted pants, or with a pair of jeans shorts, a tank top and this blouse worn open on top and a pair of low Converse All Stars. Another beauty post and I'm actually kinda liking it! As from today, you can order the Clinique Age Defense BB Cream SPF 30 on Clinique.be. I've read a couple of reviews on BB creams from different brands, but never thought about trying one myself ... Until I got the opportunity to try a sample of the BB cream by Clinique. The fact that it contains a SPF 30 is extremely important to me, since my skin is very sensitive, especially when the sun is shining at its fullest. The creme also promises to neutralize oily skin - which I have - and I can confirm that it's true. My skin feels normal and my pores aren't that visible anymore. My skin has always been a nightmare and I still have some spots on my face. I was very pleased to see that the BB cream covers them nicely. 3. For the bronzed skin with a golden undertone. I've added before and after pictures after the jump. Be warned for the before picture! 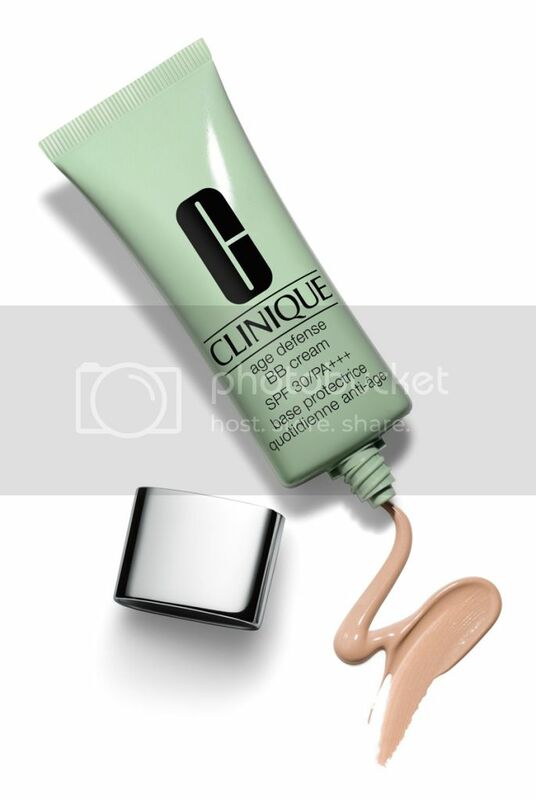 The Clinique Age Defense BB Cream SPF 30 is available on Clinique.be now. It doesn't happen every day that someone follows you around with a camera, but it's exactly what happened to me today. 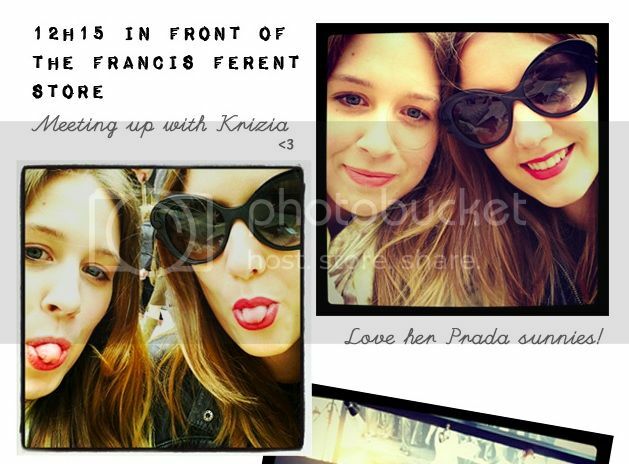 An ex-class mate is studying journalism now and she's making a reportage about fashion bloggers. She asked me if she could follow me around on one of my 'blogging days' and voilà, I'm getting filmed while I'm typing this. After working with tons of celebrities such as Karl Lagerfeld, Eva Longoria and Rachel Bilson and not to forget my beloved and extremely handsome Benicio Del Toro, Magnum has decided to collaborate with another celebrity ... Me! I'm obviously kidding about the celebrity part but whatever, I'm still extremely excited to announce that I'm the ambassador for the Magnum Pleasure Hunt in Hasselt! The Magnum Pleasure Hunt will hit 6 fashionable, Belgian cities and I'm proud to say that I will represent my beloved Hasselt, which is located near my home town Maasmechelen. On Saturday, the 2nd of June, Hasselt will be a true ice cream and shopping paradise. Ice cream and shopping ... Sounds pretty good, huh? All you have to do is register on the official website and be prepared to get pampered all day long: start at the Magnum Pleasure Bar to get your first free goodie of the day, followed by massages, champagne, manicures and pedicures and way more. About 20 stores will participate in the Hunt, giving you tons of discounts and free goodies. I don't know all the participating stores yet, but I do know that Jade (Isabel Marant Etoile, aaaah), Rue Blanche and Sarah Pacini are definitely in already. P.S. : I'm secretly hoping that Benicio Del Toro will be there too and to get myself in the mood already, I've decided to add his Magnum Gold commercial. Love // Filles à Papa FW '12/'13 "WILDCAT DISORDERED CHILD"
Filles à Papa started out as a newbie in 2008, but the designing duo (and sisters) behind the brand have quickly found their way into my rock 'n roll heart and soul. It's always a pleasure, accompanied by the Oooh's and Aaah's, to see their designs. And I'm so proud to say that these are Belgian designs! There's no harm in promoting my tiny country from time to time and besides ... Filles à Papa deserves a place in the spotlight. When I found the pictures of the FW '12/'13 in my mailbox, I squealed with delight. Once again, I find myself head over heels in love with the collection. The 'factory working girl by day and the diva by night'-idea is absolutely brilliant. I'm totally going to try out the sweater and sequined maxi dress combo. one of your biggest fans. Click below to see some of my favorite outfits. To learn more about Filles à Papa and to find more images, click here. 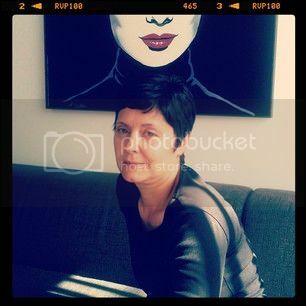 I just wanted to dedicate today's post to the most important woman in my life: my gorgeous Mom. I love you, Mom. You're the best! What are you going to do for Mother's Day? OMG! 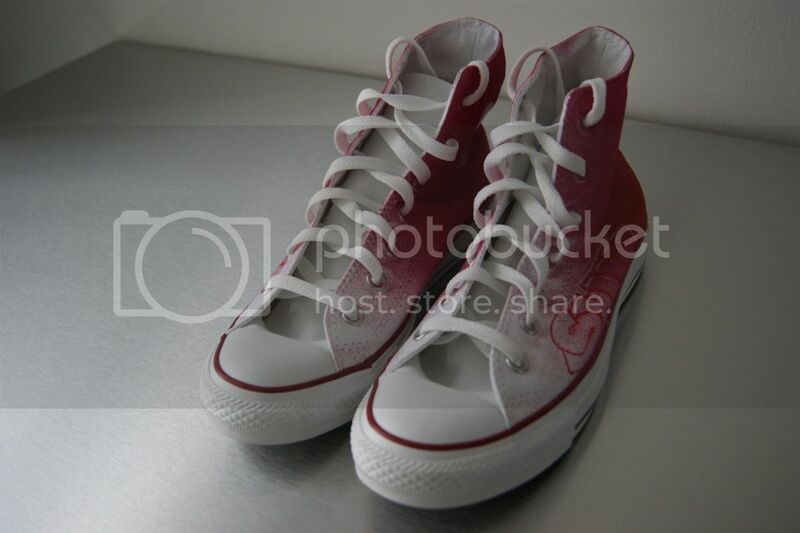 How cool are these customized Converse All Stars? 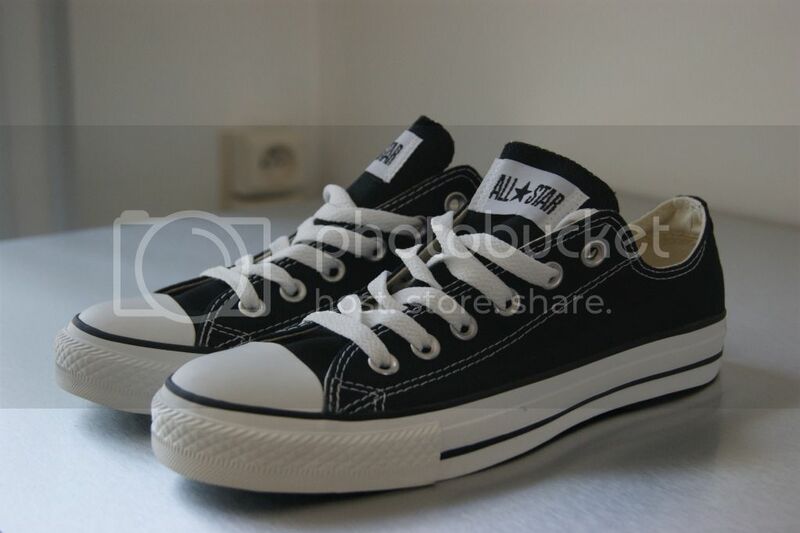 They used to be classic white ones, but my mom got them customized at the Converse shop in Maasmechelen Village today. I absolutely love them. My mom knows that I want to get a pink dip and dye for my hair as soon as my internship ends (and I don't really care that tons of bloggers and non-bloggers have it by now), so why not get pink dip and dye Converse sneakers too? The fact that 'Shark Attack' is written on the sides makes it even better. I can't wait to take these babies out for a spin. Thanks, Mom! You're the best! Are you fancying a customized pair as well? Just plan a trip to Maasmechelen Village on the 13th, 18th, 19th or 20th of May, bring along €60 to get your pair of white Converse All Stars and last, but not least: don't forget your creativity! First of all: I'm so, so sorry for the lack of posts, but my internship is coming to an end on the 25th of May, so I'm all focused on that for the moment. I've had my first evaluation last week and everything went well, so we have to keep it positive for the next 2,5 weeks as well! Up 'till now, I didn't really had a big fashion blogger idol. I read Chiara's blog so I can cry about everything she has afterwards - Seriously, they say that Barbie has everything, but Chiara's about to beat her. - and I do like the minimalistic, yet chic, style as seen on Caroline and Sabrina. 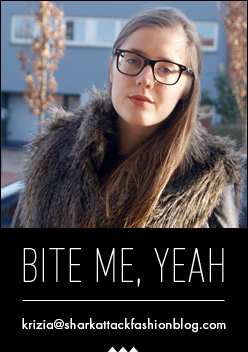 But I must admit that I'm addicted to Evangelie's blog, a.k.a. Style Heroine. What's in a name, right? Yes, I know, in this context 'heroine' means 'a female hero' and not the drugs, but it's having that effect on me. Like for realz, how cool is this outfit? Not only am I still on the search for the perfect boyfriend jeans - It seems like they're keeping all cool boyfriend jeans out of stores when I go shopping. - but have a look at that jacket. They're the type of jackets that give me flash backs, taking me way back when I was still in primary school. When we'd go on a school trip and my mom would be all hysterical and dress me in one of those fleece rain coats because "in Belgium there's always a chance that it'll rain". I never thought I'd love one of those jackets ever again, but Evangelie made me change my mind. And now I'm off, probably off to clicking on Evangelie's blog some more ... And hopefully correcting my students' tests in between. 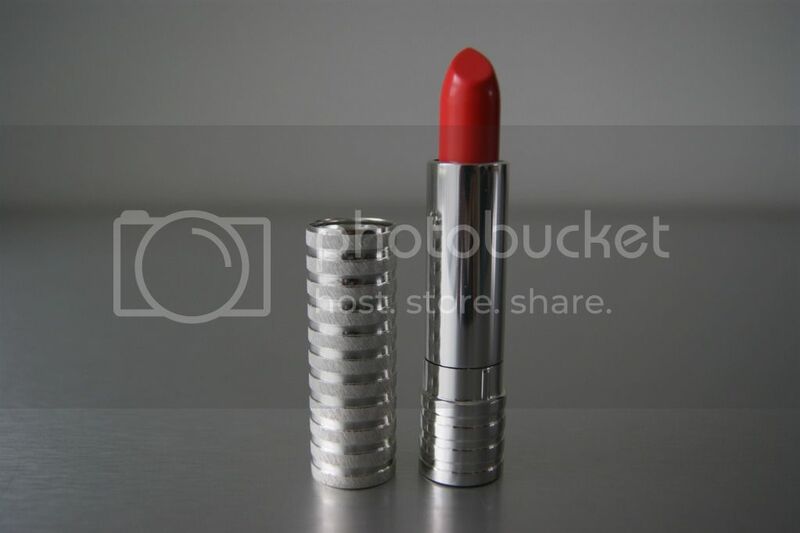 After talking about this gorgeous shade of lipstick here, I decided to give myself a little treat and order it online. Especially since it's limited edition and I knew I'd regret it if I didn't get it. I waited for the lipstick to arrive impatiently - damn you, holidays (just kidding, I love you) - and knew I made the right choice when I opened the beautifully wrapped Clinique gift box. I'm very loyal when it comes to beauty products: I refuse to wear any other perfume than Miss Dior Chérie and as for lipsticks, I only wore Chanel Rouge Coco (you know, the color Vanessa Paradis is flaunting in her Rouge Coco campaign) and a super red Chanel lipstick for special occasions up 'till now. I guess there's no harm in adding a third favorite to my lipstick 'collection', if you can call it that. This color is perfect for Spring ànd Summer and will be seen on my lips a lot. Ye be warned! I got some questions from my readers, asking if the lipstick makes your lips feel dry and the answer is ... *drumrolls* ... NO! It has a very creamy texture, even if you decide to dip your lips on a tissue, and it stays on super long. I went to a baby shower and a birthday party yesterday - meaning: lots of food and drinks - and I only had to retouch my lips once. And that's because I'm a freak when it comes to retouching my lips. I always think the lipstick has come off, even if it's not, which means I put on way more than necessary. It's all in my head. For those who want to order the lipstick, just click here. Hurry, 'cause these babies are selling fast! No worries, there are no mini sharks on their way. Picked out this outfit for my nail stylist's baby shower this afternoon. This sequined blazer was tucked away in my closet for too long, so I decided to take it out for a spin again. Now all I need is a whip and one of those big, high hats and I'm ready to start my career as a female circus director. I'd also like to thank you for the get well wishes you left in the comment box of my previous post. So sweet! As you can tell from the radiant freshness beaming from my face, I'm not healed 100 % yet, but at least I'm able to stand on my feet again. I apologize in advance for the less glamorous face compared to my previous outfit post. God, such a difference. Sorry for the absence on the blog, but I've been quite sick for the past few days: a throat infection, high fever, soar muscles ... You name it, I have it. Not to mention that I still have my internship to think about. Anywaysss, I met up with my darling Sté at Maasmechelen Village last weekend to help her pick out the perfect accessories for 'The Art Of The Detail' campaign. Girls + Outlet + Stores = A Whole Lot Of Fun! I hadn't seen Sté for a long time, so you can imagine my excitement when she told me she was coming to my tiny home town. I'm totally loving the two pictures above and can't wait to meet up again after school's over. I promise to upload outfit posts again as soon as I get better!